GRE Chemical-Industrial Pipeline use premium glass fiber glass as reinforced materials, epoxy resin as based materials, by computer control winding process, mechanical connected fiberglass reinforced piping. Potable water, firewater mains, saltwater cooling, saltwater disposal, heating & cooling water systems and wastewater systems across the automotive, power generation, municipal, institutional and aerospace applications. 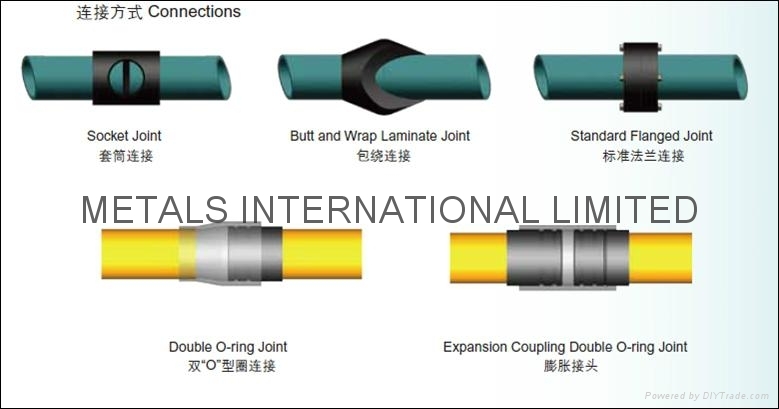 Ⅴ. GRE Chemical-Industrial Pipeline Connection: Thread, Adhesive Bonded, Bell/Spigot O-RING (with & without key-lock), Flanged, etc. 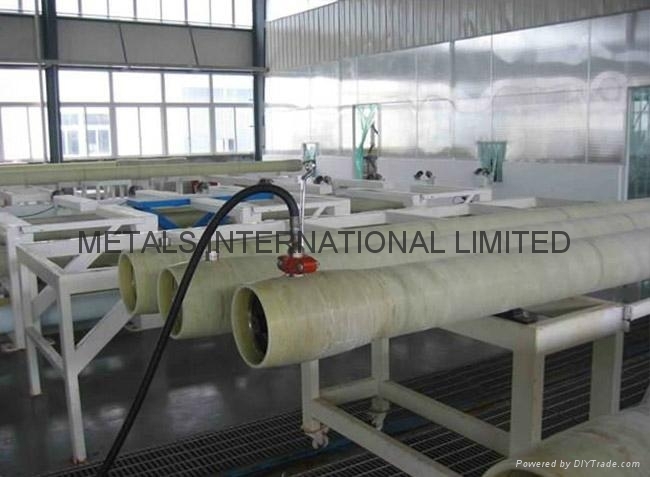 RE Marine & Offshore Pipeline, Using high quality epoxy resin as matrix and high strength glass fiber as reinforcement, and are formed onto a mold through the computer controlled winding process, after the final heat curing forming a stable performance of finished pipe and fitting. Durable and corrosion resistant: highly resistant to corrosion caused by saltwater, chemicals, residues and bacteria. Similarly, it resists external corrosion even in aggressive marine environments. Light weight - Easy to install: weighs only a quarter that of steel of pipes and is easy to install without the need of heavy installation equipment. Low Installation and Operating Cost: Installation costs are lower than those for carbon steel, resulting in comparable total installed cost when product costs are factored in. Lower operating costs, due to superior hydraulic performance, reducing energy costs. Wide range of systems: offering a complete range of piping systems in a variety of diameters and pressure classes for many different applications. 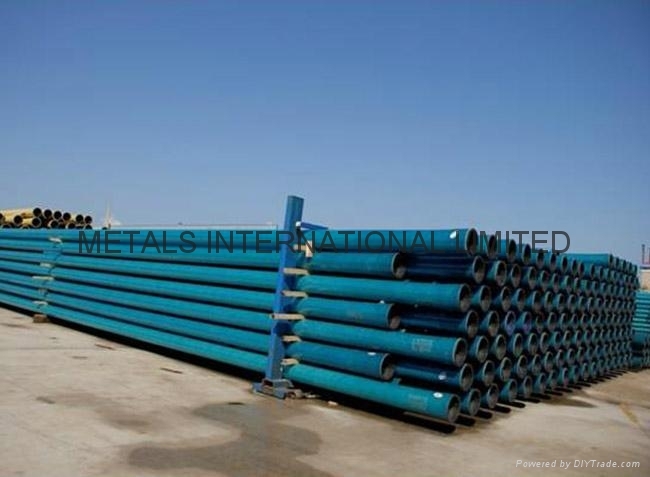 Piping systems are available in diameters up to 40 inch and standard lengths up to 40 ft.
No contamination: not rust or scale and is resistant to marine fouling. These features also contribute to the cost savings and reduced needs for maintenance. 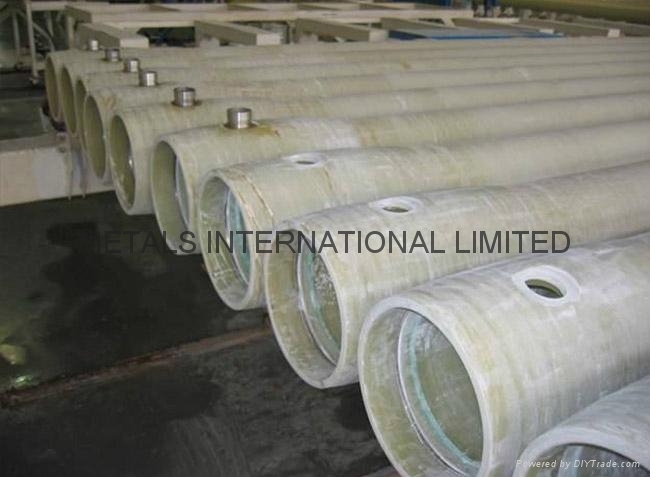 GRE Wear-Resistant Pipeline is a new generation polymer composite piping, which use GRE as outer layer, PU as inner layer. Outer layer not only can bear inner pressure, but also can resist external corrosion; the inner PU layer is a wear-resistant layer. 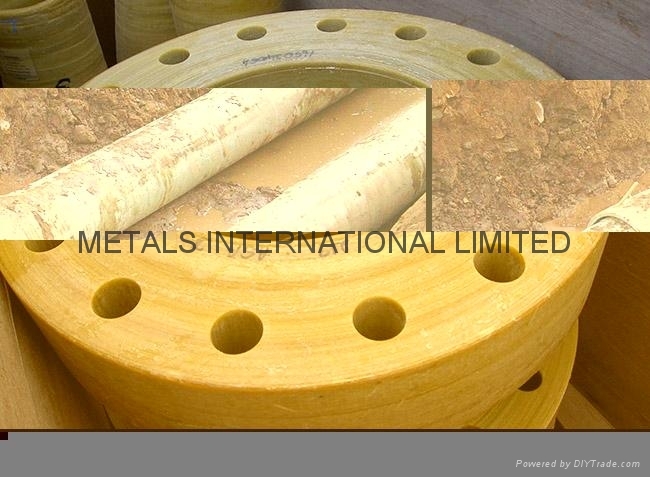 Through the unique interface process, centrifugal casting process, the PU layer can firmly bonded on the inner surface of the outer GRE layer. Polyurethane Elastomer（PU）is a multi-function high molecular synthetic material between rubber and plastic, which is excellent in mechanical property. 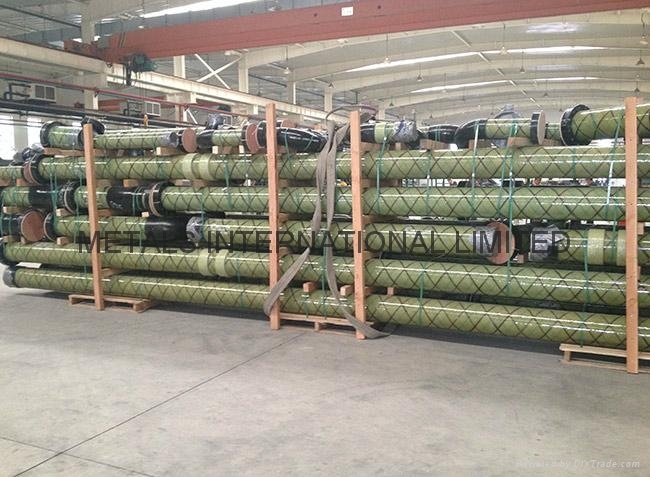 It is much superior to common rubber in its tensile strength, elongation at break, fracture resistance. It keeps its high elasticity within a wide range of rigidity, so it is excellent in wear-resistance and mechanical shock resistance, and can be prescribed into various polyurethane formula system according to the actual application condition. 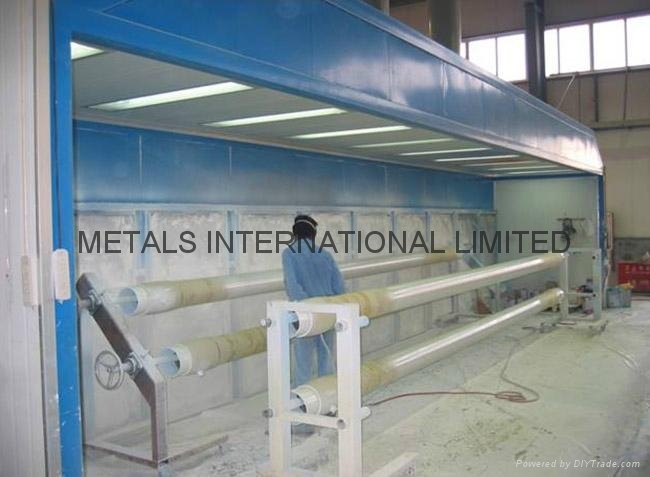 It is now widely used as wear-resistant and erosion-resistant lining in the fields of power, coal, mine, building, chemical etc, which serves to transmit grinding particles and corrosive agents like coal powder, lime-ash, mineral powder, mortar, and aluminum liquid etc. 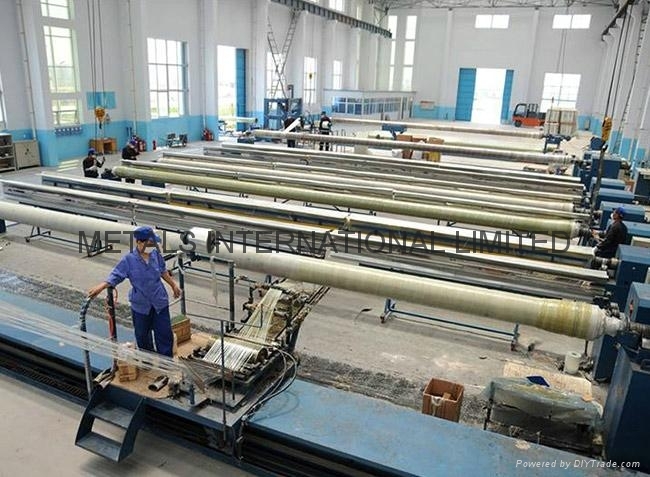 GRE Wear-Resistant Pipeline combine the advantages of GRE and PU, it is excellent in wear-resisting, aid resisting, alkali resisting, anti-scaling, radiation resistant, hydrolysis resistance, high elasticity, mechanical shock resistance and other comprehensive performances. 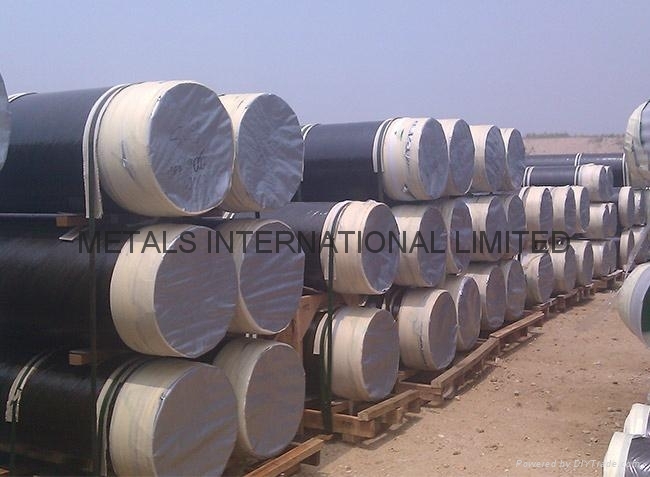 Excellent corrosion resistance and prominent wear- resistance. Less running resistance, excellent anti-scaling. Good connection and controlled thickness of wear-resistant layer. Light, convenient to transport and install, low cost. 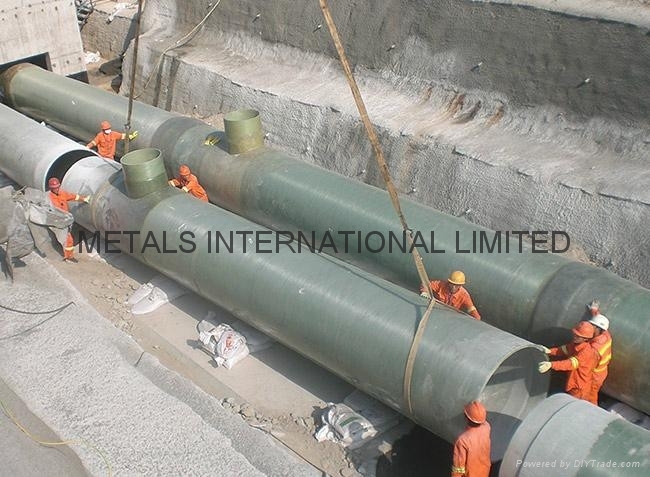 Widely used in dredging, electric power, mining, coal, chemical industry to transport mud sand, coal power, ash mineral power, liquid aluminum and mud grinding particle materials and corrosive medium. Connection: Thread, Bell and Spigot, Flanges, Plain-End joint, choosed according to design requirements. 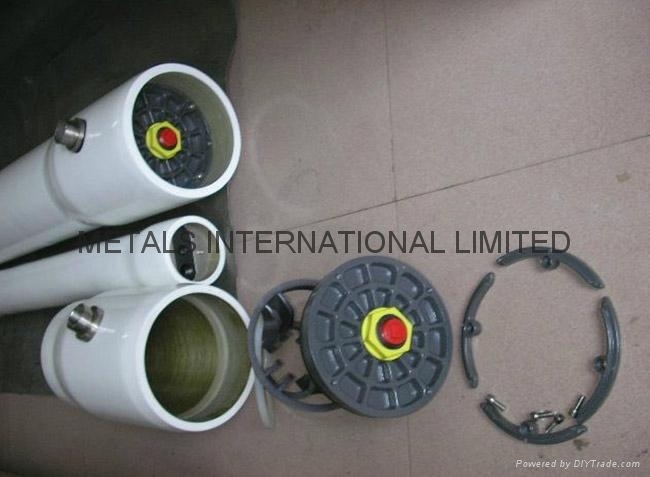 GRE Membrane Pressure Vessels (MPV Membrane Housing) are made of high quality GRE and use an advanced winding process. MPV include high strength, smooth inner surface and durable shell. Producing Process: Filament Winding→Cutting nap→Hydraulic test→Spray coating treatment→Package. 100% QA inspection and cleaning before final packaging and delivery to customers. 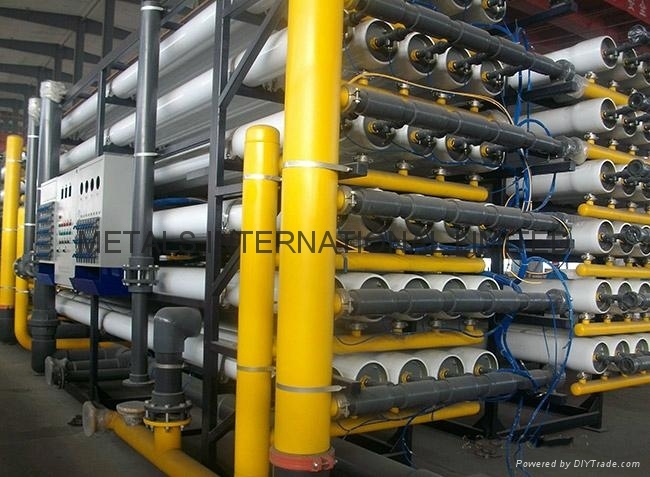 HYDRANAUTICS; DOW; GE; FLUID SYSTEM; TORAY; CSM; VONTRON; BDX and other international standard membrane elements. Operating Pressure: 300psi(2.1MPa), 450psi(3.1MPa), 600psi(4.1MPa), 800psi(5.5MPa), 1000psi(6.9MPa) , 1200psi(8.3MPa). Working Temperature: from -10℃ to +50℃.